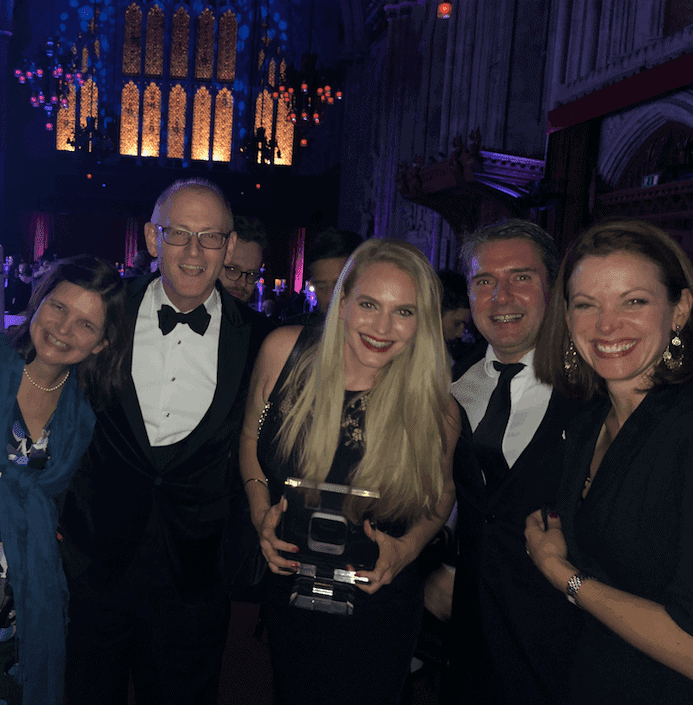 It was another great evening for AML and AXA Investment Managers at this year’s Financial Services Forum Marketing Effectiveness Awards, as our Robotech campaign won Most Effective B2B Campaign. It seems like only yesterday that AML was awarded Agency of the Year at the 2017 FSF awards. You can’t win AoY in consecutive years (it’s nice to give others a chance). But here we were again back in the medieval splendour of Guildhall in the City of London. The champagne reception is always a good opportunity to meet old acquaintances and make new ones. The food impressed (not always the case at awards dos). The company on our table was excellent – thanks to our friends at UBS, Just, Nomura and AXA IM for joining us. And Rugby World Cup winner and FSF regular Matt Dawson was as amusing as ever with his interviewing of the winners. 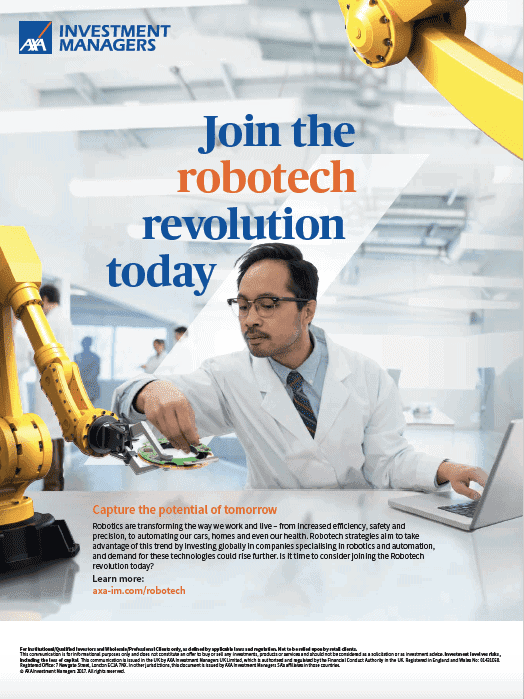 Our ‘Join the Robotech Revolution’ campaign, showcasing AXA IM’s expertise in the robotics investment sector, was nominated in three categories and won in arguably the most important, Most Effective Business to Business campaign. With a series of live events, a dedicated website and integrated advertising, the campaign has established AXA IM as the trusted guide to the new technological landscape. The campaign exceeded every target many times over. Crucially, it helped to attract £1bn of inflows. This is the second award for our Robotech work, following Best Campaign Innovation at Investment Week’s 2018 Investment Marketing & Innovation Awards. We’re really proud that our campaign in such an innovative investment sector was recognised by the FSF judging panel. So here are some pics. And you’ll be glad to hear there was no ‘robot dancing’ in the after party!